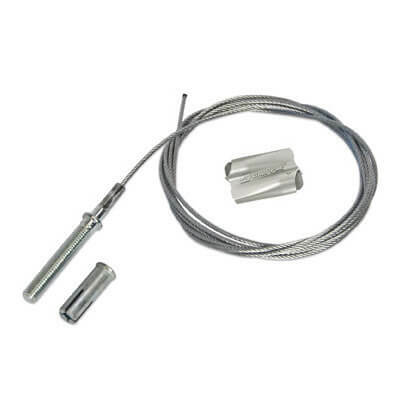 Gripple M8 Stud and Express Hanger wire rope kit with drop-in anchor. Up to 45kg safe working load. Ready to use kits supplied as packs of 10 in a choice of lengths, designed for fast installation. 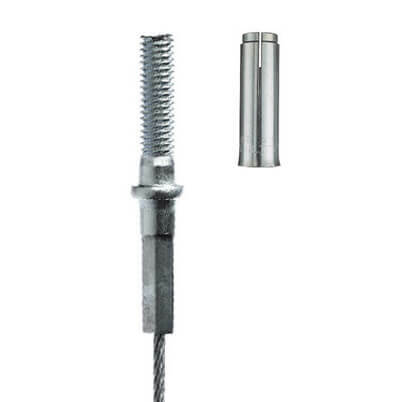 Gripple M8 thread stud with drop-in anchor designed for anchoring into concrete ceilings. Express hanger uses a keyless release mechanism for quick and easy installation. 10 x Gripple Express Fasteners. Use the simple formula below to determine the correct Gripple Express size required. 1. Simply pass the end of your wire rope through the Gripple Express. 2. Loop wire rope back on itself and pass back through the hanger fitting. Simply pull on the wire rope end to tighten, ensure a minimum of 75mm of tail wire exits the hanger. 3. To adjust or remove your Gripple simply press the release buttons to unlock the wire rope locking wedge. 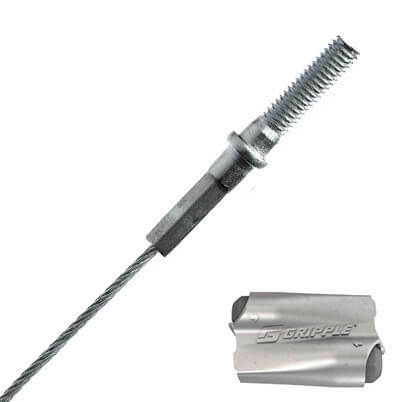 Gripple Express and M8 Stud wire rope assemblies are designed and manufactured in the UK.